J. Ross Hunter, a retired Boeing customer service representative and charter member of the American Helicopter Museum & Education Center, died December 27, 1998. 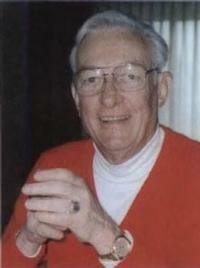 He was a member of AHS since 1952 and was active in the St. Louis and Dayton chapters. He served in the Army Air Corps during World War ll as a B-24 pilot in the South Pacific. Foliowing the war, he pursued an engineering degree at Purdue University and, after graduation, he joined Piasecki Aircraft. By 1953, Mr. Hunter was the Piasecki customer representative to the US Army Transportation Corps in St. Louis. With Norman Gorenberg of McDonnell Aircraft and others, he assisted in the creation of the AHS St. Louis Chapter and served as its president. He later worked with Boeing both in Philadelphia and at Wright Patterson Air Porce Base in Dayton, Ohio. He retired in 1985, but continued to participate in AHS Dayton chapter meeting.